A former official from Russia’s ruling party and top state executive has been found dead inside his apartment in what appears to be a suicide. 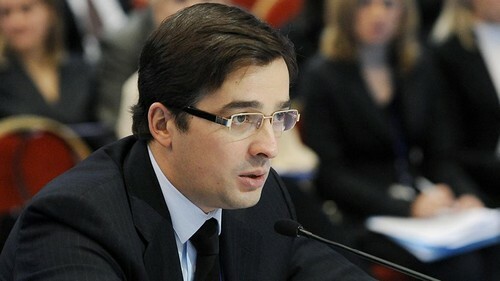 Yury Kotler, 50, a former state-run RIA Novosti, Time magazine and The New York Times journalist, served on the United Russia party’s supreme council in 2012-2016 and on its expert council since February 2018. He was a senior manager at several state-owned companies, including VTB bank and Russia’s largest port operator Novorossiysk Commercial Sea Port (NCSP). “A note was found at the scene of the incident, making it clear that he committed suicide for personal reasons,” the RBC business portal cited an unnamed Moscow police officer as saying Wednesday. Investigators noted that no signs of violence were uncovered in the apartment where Kotler was found with a gunshot wound to the head. Court records indicate that Kotler was declared bankrupt a week before his death for failing to repay a loan of almost $1-million to VTB bank, where he had served as a senior vice president until 2015. A month before his death, Kotler sued the NCSP port operator for what the Moscow court said were unpaid wages, arrears that a United Russia colleague described as Kotler’s “exit parachute,” RBC reported. Kotler was dismissed as NCSP’s deputy director in January 2018 for allegedly regularly skipping work, RBC cited a spokesman for Transneft, a Russian oil pipeline monopoly that co-owns the port operator with its rival Summa Group, as saying. Summa co-owner Ziyavudin Magomedov was arrested in March on charges of embezzling more than $35 million.